A dental bridge is a false tooth, known as a pontic, which is fused between two porcelain crowns to fill in the area left by a missing tooth. There are two crowns holding it in place that are attached onto your teeth on each side of the false tooth. This is known as a fixed bridge. This procedure is used to replace one or more missing teeth. 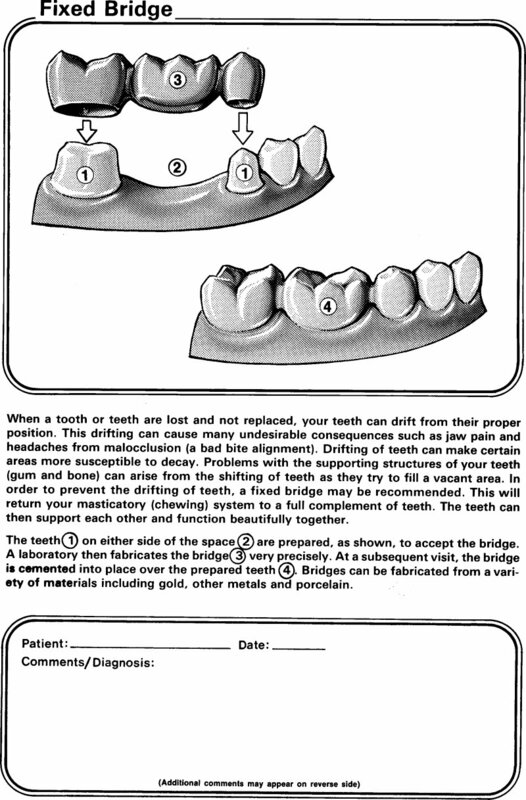 Fixed bridges cannot be taken out of your mouth as you might do with removable partial dentures. Bridges can help correct some bite issues and stop teeth from drifting. Bridges require your commitment to serious oral hygiene.